Summary: B's first mission with the Angels --sentient, do-gooder zombies-- went horribly wrong when vicious members of the Ku Klux Klan attacked New Kirkham, a stronghold of precious human survivors. B is not about to let the racist thugs persecute innocent people, but while saving the town, one of B's oldest friends is kidnapped by the Klan. The Angels are prepared to do what it takes to save him, but B will have to make some very hard decisions about loyalties--to old friends, to the Angels, and to new families and old. Review: So any one that knows me knows I've been up and down with this series, but as I've maintained, with hindsight (and a beautiful thing it is) it all comes together and works well as a series. What we get is snapshots into the life of one B-Smith and life after the zombie apocalypse, and for me this snapshot was high up on my likeability scale. As ever with Shan the writing is full of quick, short snappy sentences that carry the story along with such a pace I found that I was flying threw it, almost to fast so that it was over before I knew it. 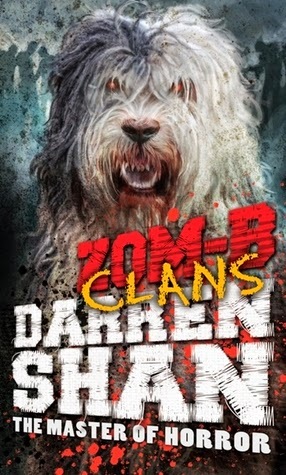 Shan writes this blaze nature to the activities of the zombies, with brains flying here and there, that adds almost a dark humour to proceedings. But this is not a funny book at its core, for all the quick whips and front of B. As ever Shan takes serious and heavy topics to lie under the action, and the reality here is blunt and in your face. Racism is played out as in your face as it can be, and I was uncomfortable when I first heard the format that it would take, and even in reading it I still feel that level of awkwardness. However the message behind the imagery is what I feel to be more important, and something we should be thinking about. What would you do, and how do you see yourself? When you think about the parallels with our society these are questions we need to be asking. The development of B dealing with these questions has been a triumph of the series, especially because of the different dimensions it has taken with various characters. This instalment also saw the return of one of my favourite (if favourite is the right word to use) characters Dan Dan, and brought me round to the character of the Owl Man. The 'villains' of this series are really shaping up, with creepy human characteristics and a reality to them that makes you look out the corner of your eye as you walk down the street! And as for looking out the corner of your eye, if anyone has a dog that is showing signs of looking like the dog on this cover RUN! I'm quite certain in this instance, his bite is most definitely worse than his bark. This book was BANG revelation, BANG revelation, BANG revelation, and I thoroughly enjoyed it. Its got me very excited for what's to come, and what's even more exciting is that it is a future I still can't predict what will happen. So many questions, so little books left! !